I’d been itching to make this… finally got the time to do it today. If you see an awkward resemblance between Dumalapdap and Vincent Valentine from the Final Fantasy series then you’re just imagining things. Shortly after Humadapnon left their home to seek revenge on Saragnayan’s family and followers, Dumalapdap embarked on a quest of his own. He decided go to Burutlakan-ka-adlaw and marry the maiden Lubay-Lubyok Hanginun si Mahuyokhuyokon. With him was Dumasig, the most powerful wrestler in Madya-as. After several months of traveling, the two warriors came face to face with a two headed monster called Balanakon. The monster guarded the ridge that led to the place where the maiden lived. They managed to kill the monster but were confronted with another kind of monster when they reached the gate of the palace where the maiden lived. Called Uyutang, the monster was similar to a bat with sharp, poisonous claws. Dumalapdap fought with the Uyutang for seven months. He was able to defeat the monster when he grabbed its ankle and broke it. Then he took his iwang daniwan (magic dagger) and struck Uyutang under the armpit. The monster howled in pain, causing an earthquake that broke the ridge they were fighting in into two. Half of the ridge became an island that is known today as Negros, while the other half became Panay. I wonder if he has a nickname for Lubay-Lubyok Hanginun si Mahuyokhuyokon? Yoko? Of course, the ends of his bahag, called wayaway should not touch the ground hence, the overabundance of strategically aimed wind power. For them to touch the soil was a sign of mourning. 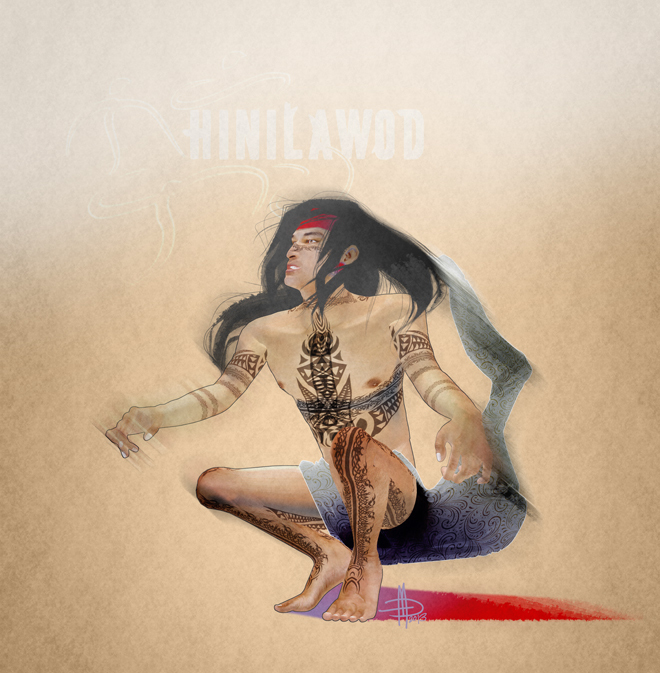 To read more of ancient Visayan bahag fashion, do check out this previous post on his brother, Humadapnon.